Pain treatment can often be a confusing thing to patients looking for relief. You may have heard of different types of options for back or neck pain. You might even be considering surgery but would prefer a non-invasive option. Two possibilities that you may have heard about are spinal decompression treatment and laser therapy. At Total Chiropractic Care & Wellness, your Medford Chiropractor, we offer both of these treatments. We want to let you know the advantages of each, so you can decide what’s right for you. 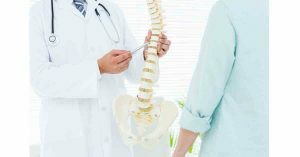 At Total Chiropractic were committed to your complete health and to finding the safest ways to manage your pain so we’ve outlined information you should know about spinal decompression and laser therapy. Spinal decompression therapy is similar to traction therapy, but with a modern twist. It’s a non-invasive alternative to spinal surgery. Patients are placed on a table, which is designed to create negative pressure on the spine. Spinal decompression works by gently stretching the spine, according to WebMD. This creates a vacuum effect inside the discs of the spine, resulting in herniated discs going back into place. It also allows for increased blood and nutrient circulation. All of this helps the healing to take place for spinal discs. What Conditions Does Spinal Decompression Help With? Spinal Decompression takes pressure off of the discs and nerves leading to pain relief. The laser treatment Total Chiropractic offers is called cold laser therapy. Sometimes called low-level laser therapy, this is a treatment that uses low levels of light to stimulate healing, according to the Healthline website. The light is so low that it’s not even enough to heat your body’s tissue, which is what gives rise to the name “cold” laser therapy. The low-level light is applied to the injured area through the use of a handheld device, that’s about the size of a flashlight, according to Spine-health. Light photons pass through skin layers and interact with the injured area. The cells absorb energy from the light which reduces pain, and inflammation and normalizes tissue. Cold laser therapy can also help minor injuries and sprains, aches and pains and it can rejuvenate the skin. Total Chiropractic recommends spinal decompression for patients who have disc problems and need to have pressure taken off their discs and nerves. Cold laser therapy is recommended as a way of reducing inflammation. Patients should not receive spinal decompression therapy if they are over 70 years old, pregnant, suffer from severe osteoporosis or severe nerve damage. If you are severely obese, spinal decompression may not be right for you. One potential drawback for cold laser therapy is the time commitment involved. Even though each session only takes a few minutes, it may take a series of treatments before you can determine its effectiveness, according to Healthline. Whatever treatment you’re seeking for pain management, Total Chiropractic Care and Wellness can help. We can assist you with managing your pain and get you started back on the road to health and wellness. To get started, contact us today!